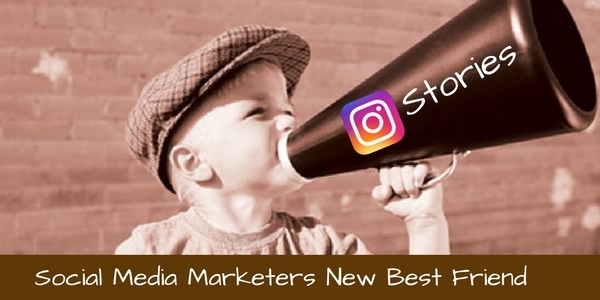 With not just Facebook updating their algorithm to be more friends and family focused, Instagram is following along the same path. In fact, only about 10 percent of your followers now see your Instagram posts organically. So what as a digital marketer should you do? One option that still works is by taking out your credit card and boosting the heck out of your content as well as running paid ads. As of today, Instagram Stories are displayed to all your followers. Not just 10 percent of them. With 300 million active daily users on its social network that is a lot of potential eyeballs that could be seeing your content, should they be following you. Instagram Stories have prime real estate. Its placement is at the top of the app when you open it. Millennials are spending large chunks of time utilizing the Stories feature. In fact, they are spending 32 minutes a day looking at Stories. That’s double the amount of time they were spending before Stories became available in 2016. 1) Be Timely. Instagram Stories isn’t meant for Evergreen type content. That’s because after 24 hours these Stories go bye-bye and are gone from your profile completely. Real-time info works best, as it is content that is trending. 2) Use It To Connect On A Personal Level. This is a great place to show that your company is human. Use it as a platform to make connections with users and not as a place to market your brand. 3) Utilize The Tools Instagram Provides. One great tool within Instagram Stories is the Polls feature. Everyone loves to give his or her opinion. With Polls, users can. Just be prepared to have a strong customer service team. That’s because 20% of Instagram Stories result in a direct message. For a custom strategy on how your company can best utilize Instagram Stories contact The Interactive Imprint today at 954-254-1650 or visit TheInteractiveImprint.com. ← LinkedIn Groups are Becoming More Powerful. Are You Utilizing Them?